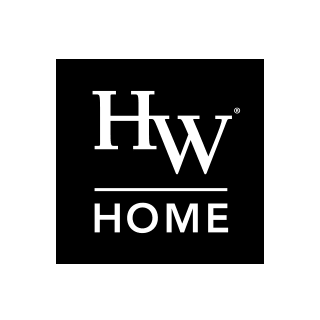 HW Home offers high quality products at the very best possible value and we strive to ensure your complete satisfaction. If a product fails to meet your reasonable expectations, our design consultants and customer care team will work to come to a satisfactory and expedient solution. Color and grain variations are natural characteristics of wood, stone, and marble. No two pieces will ever look exactly alike. Therefore, we cannot ensure exact matching of related pieces or floor samples. Fabrics are subject to multiple quality inspections before your final piece is constructed. Styles that are purchased at different times in the same fabric may not match as dye lots can vary. Leather is a natural product. Most of the leather styles HW Home carries are pure aniline dyed which shows the natural imperfections of the hides. Styles that are purchased at different times in the same leather cannot be guaranteed to match as dye lots may vary. Continual direct sunlight may fade and/or damage any fabric, leather, or wood product. These damages can occur in a surprisingly short period of time or may never happen at all. Fabrics and leathers are only warranted for one year to ensure that there are no manufacturing defects present and such limited warranty is subject to certain manufacturer imposed restrictions. No product is warranted against sun damage or fading. Please follow all care instructions associated with your selected style.